The students of the Yes I Can program experienced their 13th successful year at the annual Summer Meltdown last month. 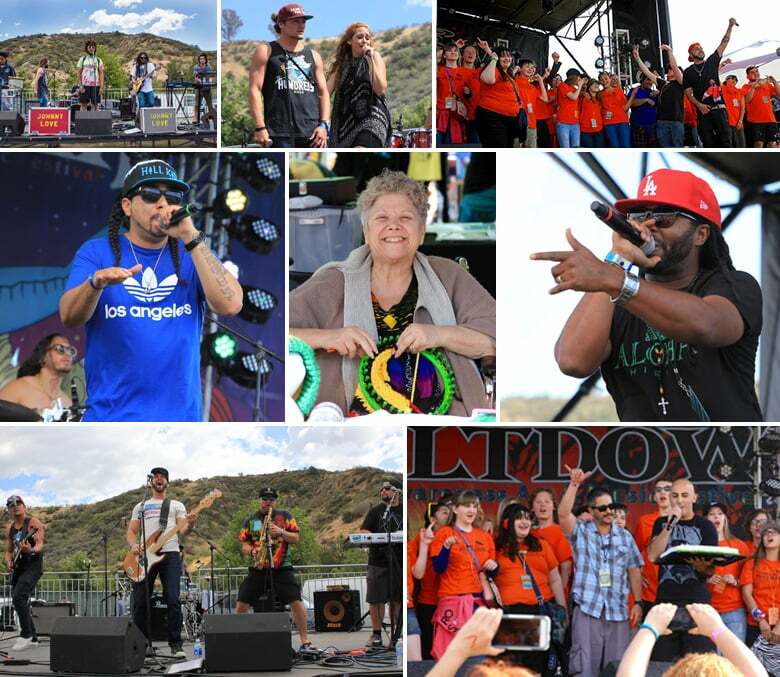 This one-day festival appropriately took place at the end of Autism Awareness Month. It is one of the only festivals in the country that is put on by students with and without disabilities who share the common goal of spreading autism awareness as well as peace and love through music and art. 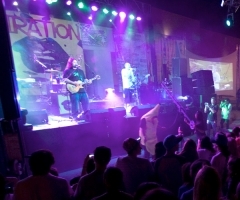 This year the festival took place in a large grass field at Central Park in Santa Clarita with a beautiful mountain backdrop. 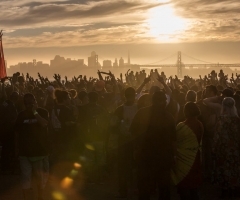 The three stages set up at the park were blessed with 30 different bands and live artists. There aren’t many festivals that are as family friendly and welcoming to all types of people. Families and friends set up blankets on the grass to enjoy the show, kids of all ages ran around dancing to the music, and the good vibes were endless. Food trucks with delicious and unique options were set up near the back, and there were a variety of vendors selling clothes, original art, jewelry, and more. 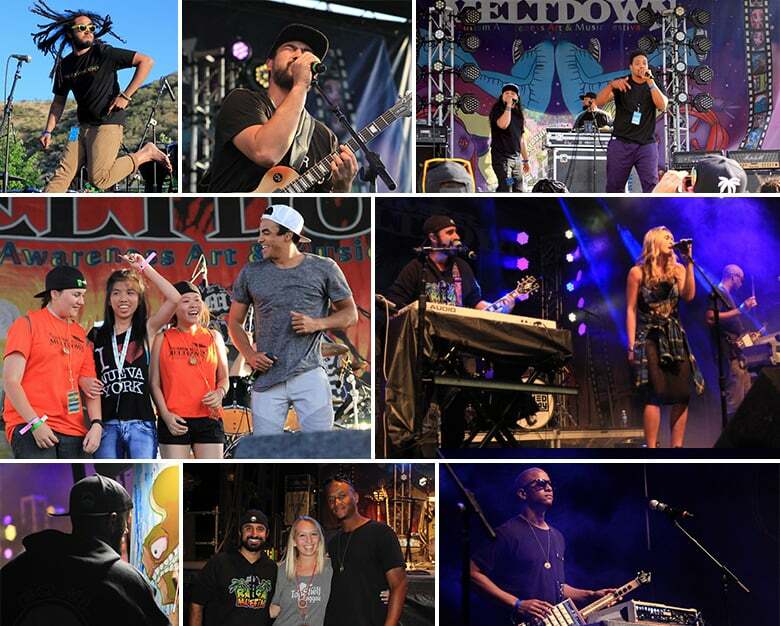 There is a little something for everyone at the Summer Meltdown. "Music is the universal language that all humans understand..."
The openness of the venue made it easy to check out all the vendors and catch almost all of the performances at the festival. Some of the bands I was able to see and highlights of the day were Johnny Love, True Press, Stranger, Arise Roots, Roots Covenant, Ital Vibes, Katchafire, Z-Trip, and Unified Highway. 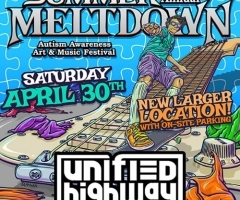 The Summer Meltdown will go down in history for hosting the debut performance of Unified Highway, a group formed of Eric Rachmany of Rebelution and Amp Live, who headlined this years show. Many performers throughout the day brought up students from the Yes I Can program to help sing, dance, or announce the next artist. 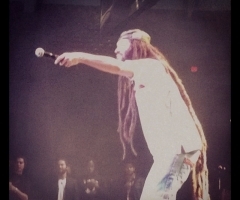 It was a special experience to witness the kids in this program, all the performers and artists, and everyone who came to enjoy and support the event all come together to connect through music and art. Everyone in attendance knew what a special day this truly was and you could certainly feel it in the air.